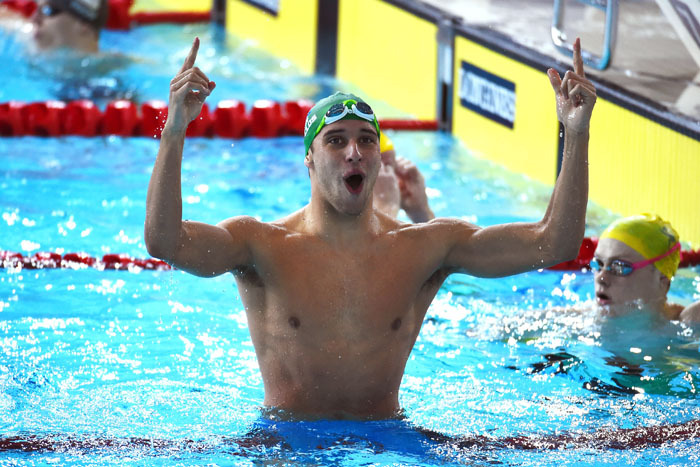 Commonwealth Games star Chad le Clos has confirmed he will target nine medals at the World Short-Course Swimming Championships in Doha in December. “I’ll be aiming for six individual events and three relays, so I need to make sure I qualify in all of them,” Le Clos said on Wednesday. The 22-year-old double world champion, who secured seven medals at the Games, is one of three individual swimming medallists from Glasgow who will turn out at the SA Short-Course Championships starting in Pietermaritzburg on Thursday. Sebastien Rousseau and Cameron van der Burgh were also included in the start lists for the national event, which acts as trials for the global short-course showpiece, while sprinter Roland Schoeman opted not to compete.